Roofing Alpharetta services are about repairs, re-roofing, and other additional enhancements. The most popular residential roof in Georgia is built from shingles. Asphalt, solid wood shakes, slate and metal are the most used materials for houses. Asphalt shingles promise low price and quick to install. The material comes in elegant styles and hues well suited for specific house types. Proper maintenance is one of the secrets to having a long-lasting roof. Restoring dents and small gaps will prevent the rain from leaking inside the house. Caulks that are hardened by weather should be taken away and apply new roofing cement if necessary. Roofing systems these days have gutter toppers to stop debris buildup that causes the gutters to be flooded. Reinstall missing shingles and broken ones to protect the roof deck and wood sections underneath. 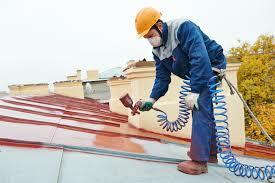 Licensed roofing contractors Alpharetta has a home interior, exterior, and roof painting services. 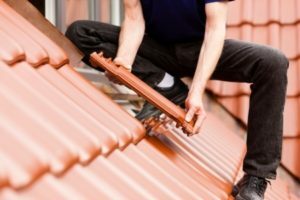 The old housetop repairs and replacements are indisputable. Their roof recoloring service can make the former roof last for more years and look good as new. It makes the upgrade quicker because the old ones are no need to replace. The tiny gaps are patched with roof cement or sealant. Little spaces between the connecting surfaces will be covered by high-quality paints for better rain protection. Duffy painting services are the best in home interiors and exteriors, as well as the roof, recoloring. 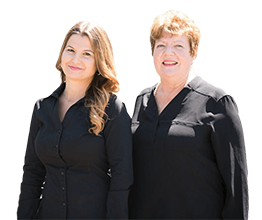 The Duffy Roofing and Restorations obtain a couple of awards for its quality of service. Complete house recoloring for anyone is in Alpharetta is now available at interesting rates.